Viac informácií o knihe Diabetes - No More! 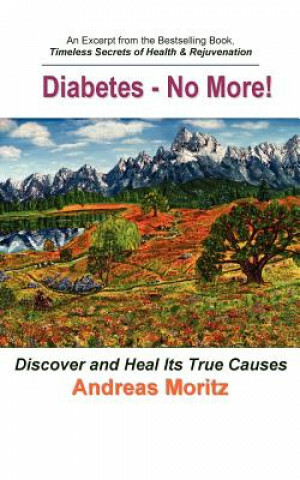 According to this bestselling author, diabetes is not a disease; in the vast majority of cases, it is a complex mechanism of protection or survival that the body chooses to avoid the possibly fatal consequences of an unhealthful diet and lifestyle. Despite the body's ceaseless self-preservation efforts (which we call diseases), millions of people suffer or die unnecessarily from such consequences. The imbalanced blood sugar level in diabetes is but a symptom of illness, not the illness itself. By developing diabetes, the body is neither doing something wrong nor is it trying to commit suicide. The current diabetes epidemic is man-made, or rather, factory-made, and, therefore, can be halted and reversed through simple but effective changes in diet and lifestyle. Diabetes - No More provides you with essential information on the various causes of diabetes and how anyone can avoid them. To stop the diabetes epidemic we need to create the right circumstances that allows the body to heal. Just as there is a mechanism to become diabetic, there is also a mechanism to reverse it. Find out how! Celý názov: Diabetes - No More! Fit Baby, Smart Baby, Your Babay!